On Memorial Day: beer belongs, and respect. 1 Jay Brooks at Brookston Beer Bulletin. The year before World War II ended, 1944, the United States Brewers Association (USBA) and the United Breweries Industrial Foundation merged, creating the United States Brewers Foundation (USBF). 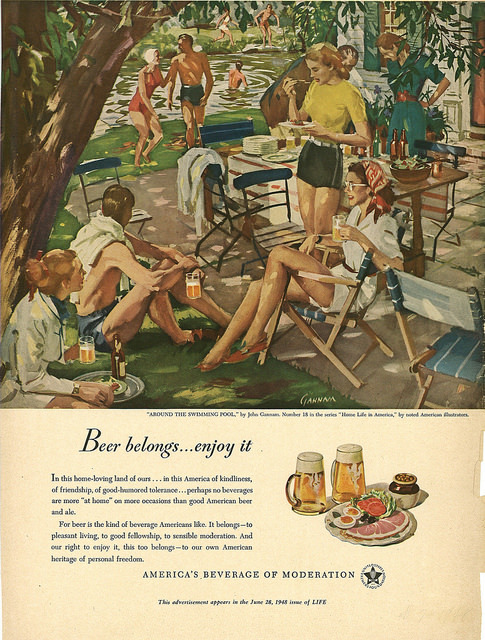 During the final year of the war, the USBF created an advertising campaign to promote beer as “America’s Beverage of Moderation.” The campaign was known as “Beer Belongs” and began in 1945, though in 1946 it began numbering the ads as a part of a series entitled “Home Life in America.” It lasted over a decade, with the last numbered ad being produced in 1956. Well-known artists and illustrators of the day were commissioned to paint idyllic works showing an idealized post-war America — exclusively while I should point out — enjoying their post-war prosperity in a variety of settings, but with beer, naturally, at the center of it all. 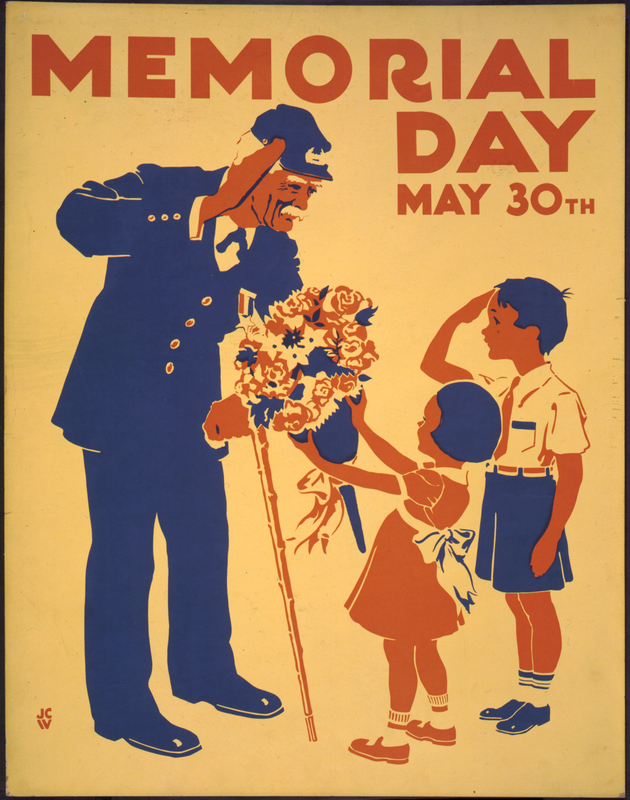 2 Memorial Day poster of the Federal Art Project, 1936 or 1937: honoring veterans, showing a boy and an old soldier saluting each other, and girl presenting the soldier with a bouquet of flowers. (Library of Congress). The IIP Photo Archive is maintained by the Bureau of International Information Programs of the United States Department of State. Beer: Only three all-natural ingredients. Pic(k) of the Week: Success & dejection. 'Craft' beer data, 2016 edition. Pic(k) of the Week: Two sours & a stout. Pic(k) of the Week: I am NOT a nugget! And yet, she still blooms. The 2016 World Beer Cup. Pic(k) of the Week. A silo for 5 Seasons.